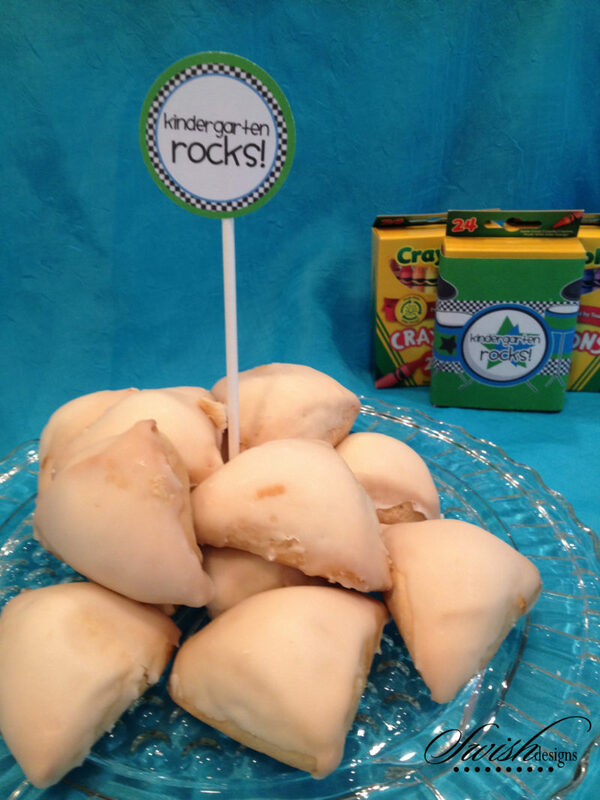 One of my sweet party girls, Donna of Swish Printables threw this adorable “Kindergarten Rocks” breakfast for her eldest last year and I just had to share! Sometimes we, as party planners, want to go big or go home and we forget that even the simplest of events impact the little ones in our lives in a big way! Here are a few of the pictures from the morning. SON: ‘Thank you so much mommy – I love it’! Did your kids start school yet? Does it get any easier? My son just started sixth grade this week and my little two year old is begging to go to school. It is amazing how time really does fly. Thank you for sharing your Kindergarten Rocks Back to School Party, Donna! !